Wanda Ma, Advancing Women Executives Leader. 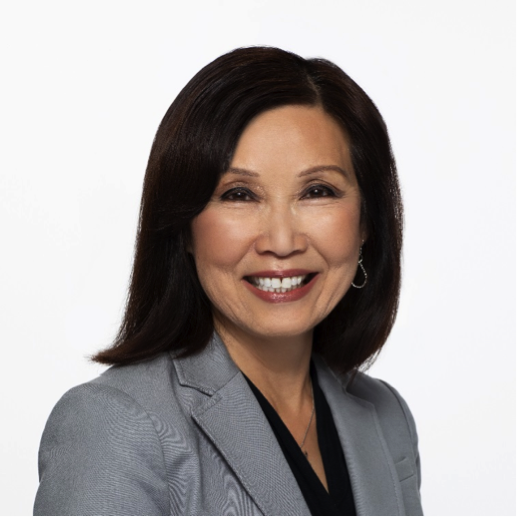 Wanda Ma is an experienced information technology executive who has held a number of leadership positions in the retail, telecommunications, and technology industries. She is a strong and compassionate leader who is described by her team as smart, decisive, and strategic. An excellent listener and a fast thinker, she quickly assesses a situation and provides a thorough and tactful solution. Her strong sense of collaboration and magnetic personality make her a natural team builder and relationship expert. She has demonstrated political savvy that makes her a trusted member of any executive leadership team. Currently, she is the Vice President of Technology at Sephora where she is responsible for delivering enterprise technology solutions in support of all the core business functions including supply chain, distribution, merchandising, finance, and human resources. Her specialities in this role include: business relationship management, project management, IT applications delivery, ERP implementation, CRM, business intelligence, and IT operations. Customer focused, Wanda drives for results, and has proven success at motivating her team to reach objectives, meet critical deadlines, and exceed expectations. Previously, Wanda was the Vice President of Information Technology for Bare Escentuals in San Francisco, where she led the delivery of all business applications, and oversaw the CRM, analytics, and PMO support and infrastructure. Prior to that role, she spent 10 years in various executive IT leadership roles at Gap Inc. and also served as the Division CIO for Gap Brand. Wanda has also spent time in telecommunications and technology with leadership roles in information technology, product marketing, and systems engineering at AT&T and IBM. Wanda’s impact is felt far beyond the walls of her office. She is an active member of Advancing Women Executives - an organization focussed on accelerating the careers of women to improve the global economy and she also spends time providing informal career coaching to young adults entering the workforce. At three years old, Wanda immigrated to the U.S. and was raised in San Francisco, where she went on to eventually raise her daughter and two now-adult sons. She still currently resides on the Peninsula with her husband and daughter, and enjoys cheering in the stands for their home teams, the San Francisco Giants and the Golden State Warriors. Wanda completed her BS in Computer Science at University of California, Berkeley.